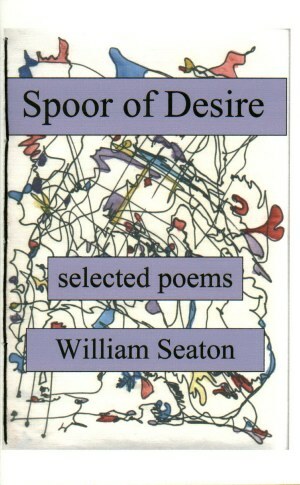 In the tradition of Ezra Pound, Kenneth Rexroth, and Paul Blackburn, William Seaton's poetic style straddles the avant-garde and the academic. He writes sometimes in iambic pentameter, sometimes in the declamatory long line of much performance poetry, sometimes in irregular but heavily accented cadences. The rhapsodic prose texts are rhetorically rich, far from current fashion, and in the best passages, truly breathtaking. Spoor of Desire includes both well-defined images and startling imaginative leaps. While many passages are grounded in the colloquial and the quotidian, others roam into the recondite. Though the poet has been engaged in the public performance of poetry throughout his career, certain of his works are clearly very much at home on the page. Seaton is a compelling poet and, what is more remarkable in this belated age, an original one. His words will strike the reader “sudden as a meteor,/ close as one's own tongue” (“Swan on the Heritage Trail”). I will follow Freud so far at least as to acknowledge that desire is the motivator of human action, of Cato no less than Catullus, Savanarola as well as Cellini. Is the variety suggested by these names not best accounted a matter of style, of aesthetics? In what way is it becoming for one to live? Though acts and ideas and curricula vitae will reflect each individual's answer, the most full and precise record of desire is art. As the bloodhound knows, each spoor is a unique track, bearing for a time a unique scent. Whether I write about the Nigerian bush or about a slug in my yard, I offer the same apology as the master Montaigne over four centuries back: in spite of apparent variation, my theme remains always the same: “my selfe fully and naked.” And, with the reserve and ostentation of a poet, he adds “Thus gentle Reader my selfe am the groundworke of my booke: It is then no reason thou shouldest employ thy time about so frivolous and vaine a Subject. Therefore farewell.” But this farewell sounds very like a greeting. sage stone collapsed to sand. will never see into the hearts of things. of the old man who sought stillness. and the stream rolls on. William Seaton's poetry has previously appeared in the chapbooks Cold Water and Tourist Snapshots, in such journals as Chelsea, Heaven Bone, Oblique, Wordsmith, Mad Blood, Artspace, and Big City Ball, and in several anthologies, most recently, Riverine. Apart from his original poetry, Seaton is a scholar and critic of wide-ranging interests and a literary translator whose publications include versions of ancient Greek lyrics and German dada effusions. 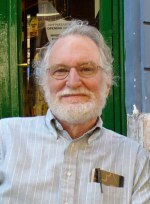 Educated at the University of Illinois and the University of Iowa, he has consumed the European-American canon, while learning also from world and oral literature and popular culture. He has sought to bring poetry to the people through live performances (including the San Francisco Cloud House street readings) as well as through radio and television. He has taught in a variety of settings from San Francisco to Nigeria on levels from GED (in prison) to graduate school (at Long Island University). His Poetry on the Loose Reading/Performance Series in New York's Hudson Valley has been presenting literary events since 1993.
is a 100 page hand-stitched book with spine.